Young fish and coral larvae can sniff out good and bad real estate, according to biologists at Georgia Institute of Technology and Zayed University in the United Arab Emirates. Following chemical cues, tropical fish and coral can avoid seaweed's stink, heading toward the home-sweet-home smell of healthy reefs. In three marine protected areas off the coast of Fiji, Georgia Tech marine biologists Danielle Dixson and Mark Hay tested how some sea creatures decide where to live. They placed fish and free-swimming coral larvae in a tank split into two chambers - one filled with water from an environmentally degraded, seaweedy habitat, and the other filled with water from a healthy reef in a marine protected area. Like retirees to the Sunshine State, the teensy coral and fish flocked to the side of the tank with reef water. The fish, comprising 15 different tropical species, were eight times more likely to prefer water from the protected area; five out of every six larvae, likewise, chose the water from coral reefs. It's the first time that coral have shown a predilection in this way, the researchers report in the journal Science on Thursday. "Not only are coral smelling good areas versus bad areas, but they're nuanced about it," Hay says in a press release. "They're making careful decisions and can say, 'settle or don't settle.'" Once coral larvae put down their roots, that's it - these animals won't ever move again. "If you're setting up a marine protected area to seed recruitment into a degraded habitat, that recruitment may not happen if young fish and coral are not recognizing the degraded area as habitat," Dixson says. 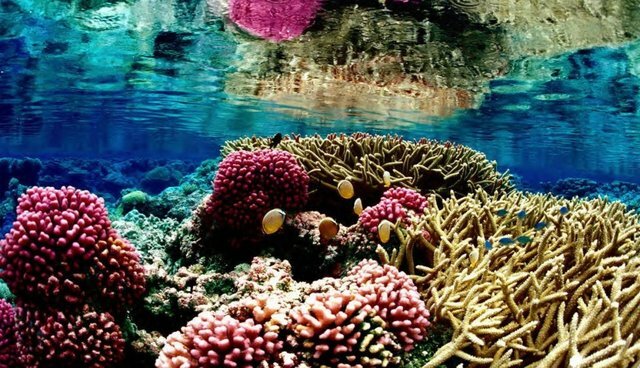 The degradation of coral reefs reaches far past Fiji's waters, as increasingly acidic oceans and pollution threaten the existence of these ecosystems. (Pollution messes with reef fish's ability to smell, too.) Seaweed and coral also vie for the same space on the ocean floor, including the reefs growing among the Florida Keys. Most seaweed-based habitats aren't hotbeds of diversity on the same scale as coral reefs, which are home to at least a million species. To coax coral and fish into damaged areas, Hays believes conservationists might have to spruce these neighborhoods up. "What this means is we probably need to manage these reefs in ways that help remove the most negative seaweeds," he says, "and then help promote the most positive corals."